Opening 15 years ago, American Vision Windows has been offering their services throughout the California, and has even begun to expand to bordering states. Offering their window and door installation services to cities like San Jose, Orange County, Santa Clarita, and even parts of Arizona. As their servicing areas have slowly and successfully expanded, American Vision Windows has become one of the nation’s biggest windows installation businesses in the state of California. 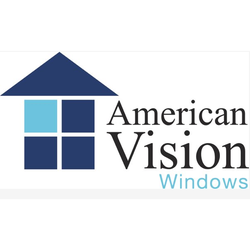 Though American Vision Windows is flourishing from positive installation experiences, the whole business was birthed from an utterly unsatisfactory one. Owners of Bill and Kathleen first had the idea to open their own business when the window installation process for their own home was so sour. After confusing and vague information given by sales representatives as well as having to deal with contractors who would stop work early, show up late, or not even show up at all. They also had to experience unanswered calls, fabrications about what windows were ordered exactly, and possibly false excuses about their orders, tardiness, and more. Overall, this miserable experience spanned over three months, and though considered a very negative experience, Bill and Kathleen saw this as an opportunity for other homeowners to never deal with an installation process like they did. Smart Tip : Add next-gen Citrix Xendesktop to your smart home to gear up your remote working skills by accessing your online private workspace with affordable citrix xendesktop pricing from CloudDesktopOnline. To know more about Hosted SharePoint, Hosted QuickBooks Cloud and Office 365 Enterprise E1 suite, Try Apps4Rent. With years of experience in the installation process of doors and windows, American Vision Windows have gone on to gain a number of different manufacturer contacts. All manufacturers are able to construct and result in the successful installation of a variety of different window styles, such as glass, wood, and vinyl in styles like hung, sliders, and bay windows. They are also quite experienced in working with different styles of doors like panel, sliding, and French for entry doors or patio doors to help heighten the features of different homes across Orange County and Santa Clarita. Striving to provide all clients with a happy and stress-free installation process, Bill and Kathleen of American Vision Windows continue to service areas throughout California, like the homes of Santa Clarita or the ones across Arizona. Continuing to provide great installation services, American Vision Windows will go on to offer them and extinguish the existence of any poor installation experiences.